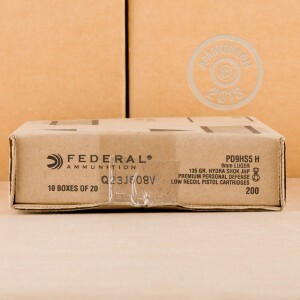 Federal Hydra-Shok ammunition has served as a carry and duty load for many gun owners and law enforcement officers. Hydra-Shok bullets feature a center-post hollow point design that reduces the risk of debris disrupting the expansion process. 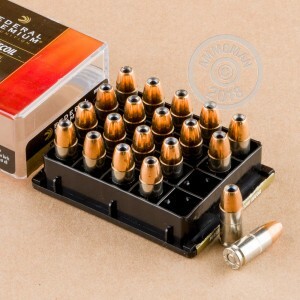 Each round in this box of 20 fires a heavy 135 grain projectile at 1,060 feet per second. The use of a heavier bullet enhances penetration and keeps muzzle velocities to a subsonic level. 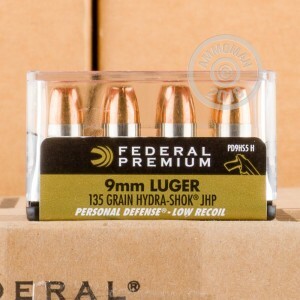 Hydra-Shok ammo is loaded in Anoka, Minnesota and uses non-corrosive primers. The cases are made of nickel-plated brass that will withstand extended periods of being carried but not used.